Yesterday we featured Courtney Cox’s minimalist kitchen. 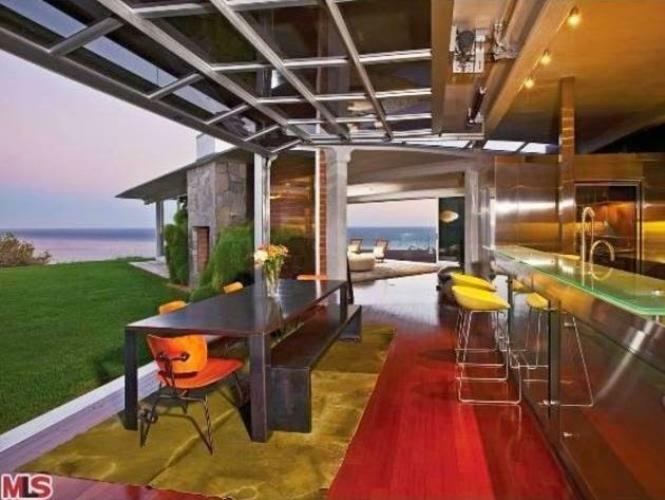 Today we are featuring this stunning Malibu beach front property with a sea view from the kitchen belongs to none other than Brad Pitt and Angelina Jolie. The countertops are stainless steel – great for keeping clean by the way – while all of the appliances are top of the range, not to mention a huge walk-in refrigerator and freezer!